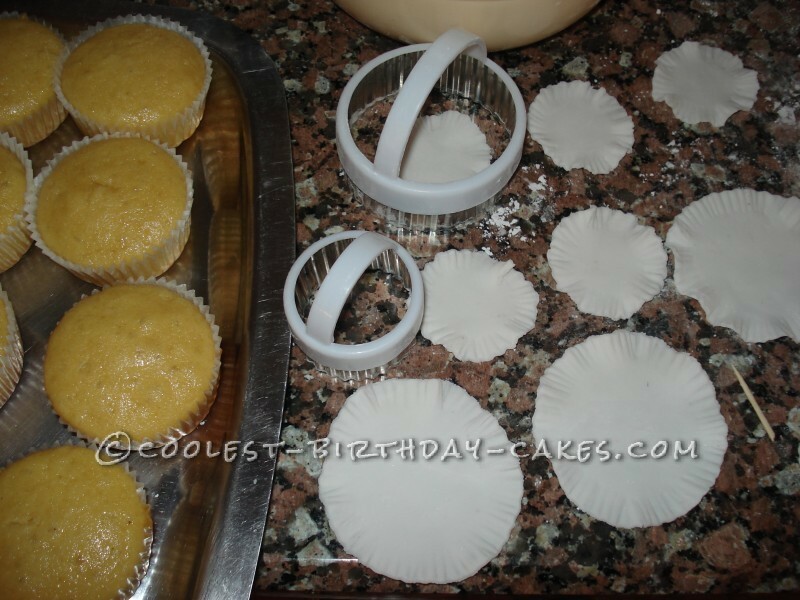 I started making the upper part of the cup cakes first. I did this a few days before I actually baked the cupcakes. I used fondant and a heart cookie cutter. I made 50 hearts shapes. 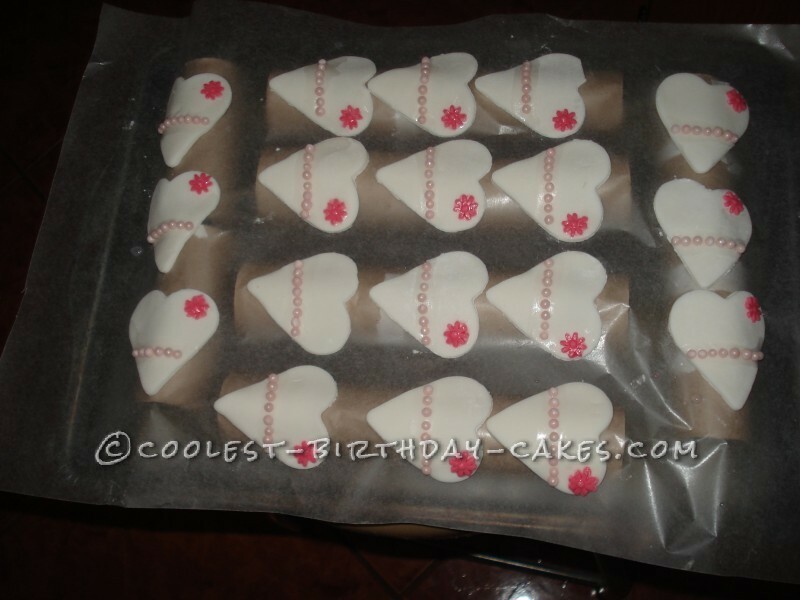 I then applied the edible pink pearls on the hearts while the fondant was still soft. I made dark pink flowers from fondant with a flower plunger. I applied this on top of the heart as well. I put paper towel holders on a baking tray and put wax paper over, and then I put the heart on top to harden in the shape of the paper towel. Two days before the party I baked the cupcakes. I baked vanilla cupcakes. 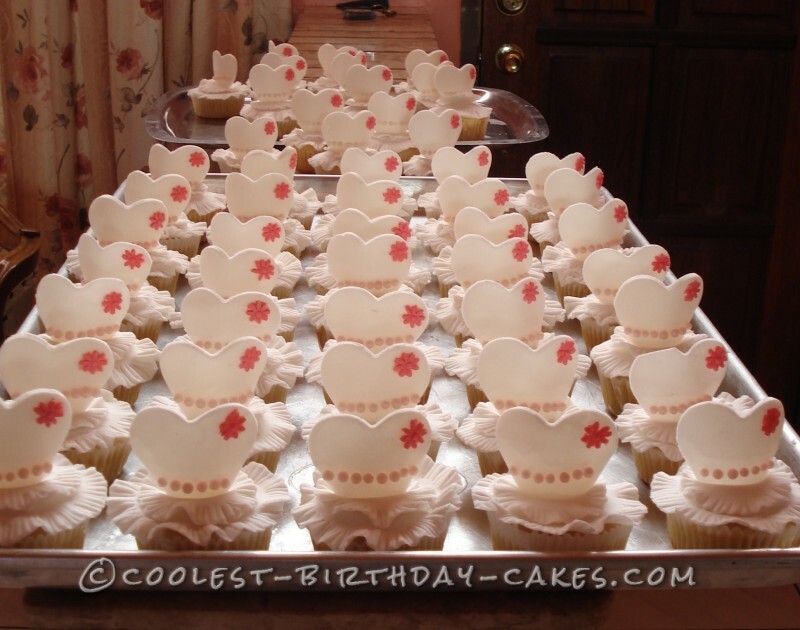 I used a normal Vanilla cake recipe and tripled the ingredients to produce 50 cupcakes. I used two different sized flower shaped cookie cutters to make the tutu effect. The lines in the dress part I used a tooth pick to create this effect. I covered the cupcakes with liquid icing before I assembled my dress. I just pressed the hardened heart in the center to create a dress effect. The girl who asked her mom who requested me to make the cupcakes was very impressed. Birthday cake idea posted by Sharon B.